Zc959. This image of the Bataan and Democracy Historical Marker was provided by the General Douglas MacArthur Memorial in Norfolk Virginia. The Gen. MacArthur Memorial was wondering where was it located and does it still exist? One of our forum members saw it and even has some pictures. 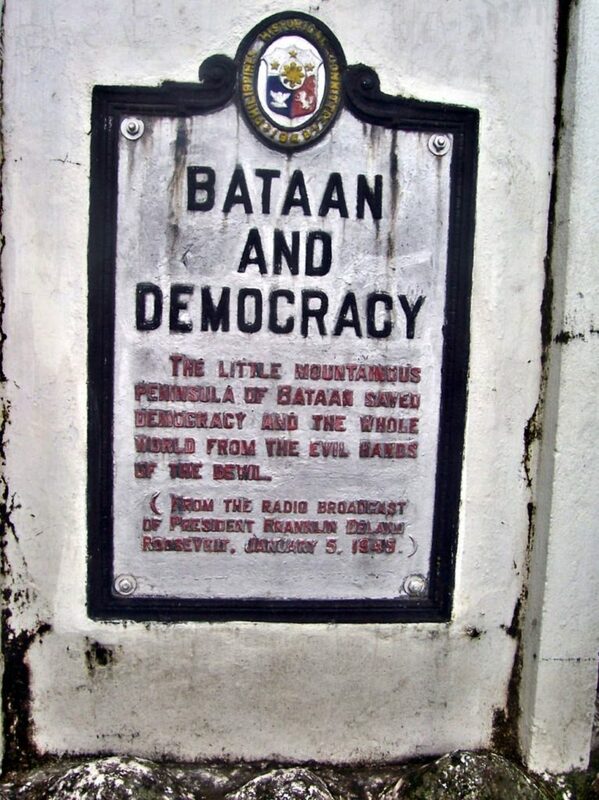 We did some additional research and here is information about the Bataan and Democracy Historical Marker. That the General Douglas MacArthur Memorial in Norfolk Virginia sent us this picture and that it has a quote from President Franklin Delano Roosevelt radio broadcast of the 5th Jan.1945 makes this Bataan Historical Marker special to me. The image Zc959 is also available at a higher resolution at this URL, click here! Zc960. 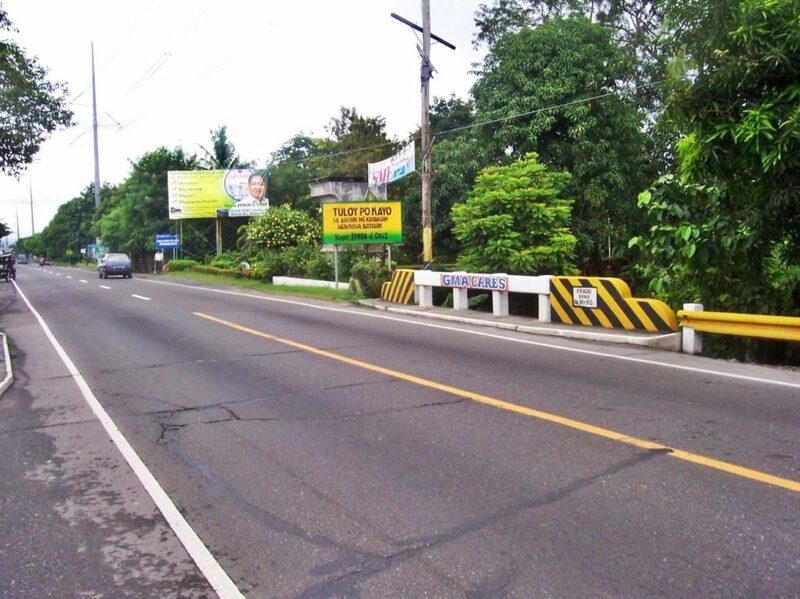 This picture of the Bataan and Democracy Historical Marker was shot on the 4th Oct. 2007 and the marker is located on the Bataan side of the Pampanga Welcome Gate over the Gapan-Olongapo Highway. 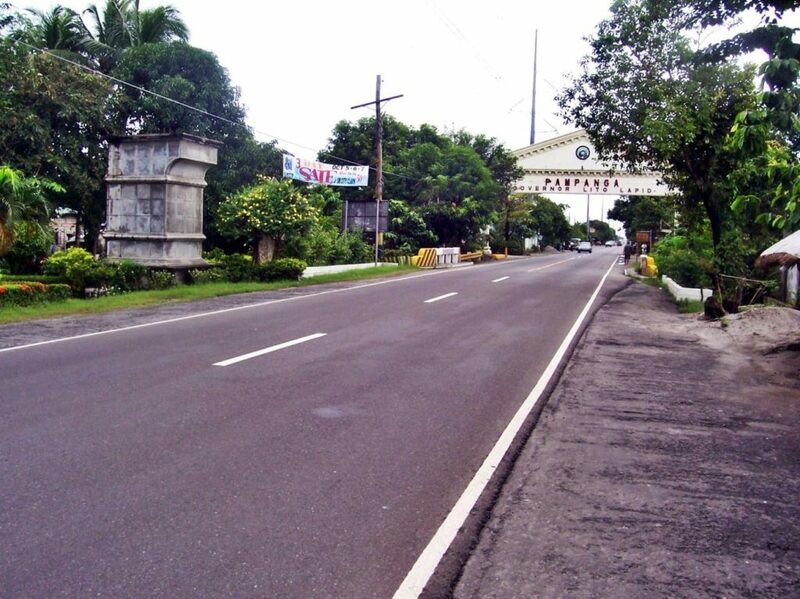 This stretch of road was also part of the Death March after the Battle of Bataan. Zc961. 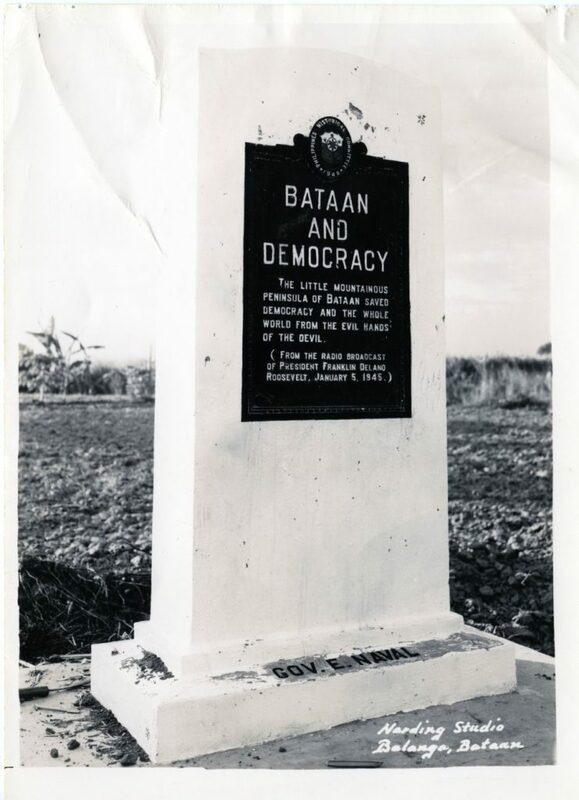 Bataan and Democracy Historical Marker. This photo was shot on the 4th Oct. 2007 and the marker is located on the Bataan side of the Pampanga Welcome Arch (maybe 40 meter from it) over the Gapan-Olongapo Highway which was also the Death March Route at this area. Notice the massive Shriner’s Monument at left and the Bataan and Democracy Historical Marker is to the left of that and is set further back. Zc962. 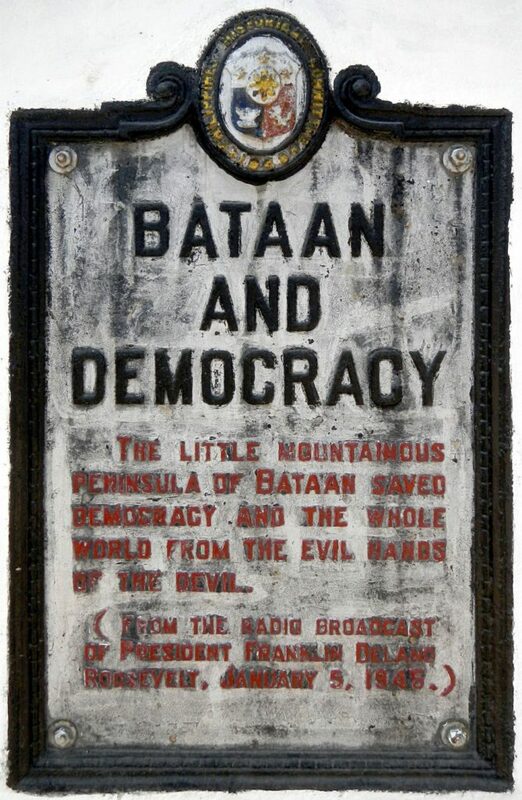 Bataan and Democracy Historical Marker. This photo was shot on the 4th Oct. 2007 and the marker is located on the Bataan side of the Pampanga Welcome Arch (maybe 40 meter from it) over the Gapan-Olongapo Highway which was also the Death March Route at this area. The bridge over the creek Prado is another landmark for the marker’s location. The name of that Governor is now removed. Zc963. Bataan and Democracy Historical Marker. This time we are looking in the Olongapo direction. 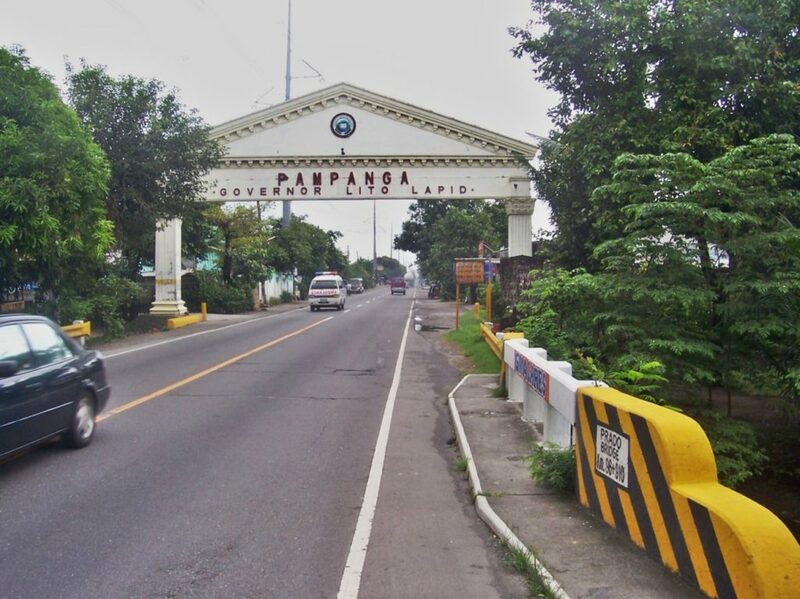 This photo was shot on the 4th Oct. 2007 and the marker is located on the Bataan side of the Pampanga Welcome Arch (maybe 40 meter from it) over the Gapan-Olongapo Highway which was also the Death March Route at this area. The bridge over the creek Prado is another landmark for the marker’s location. Notice the massive Shriner’s Monument at right and the Bataan and Democracy Historical Marker is to the right of that and is set further back. Zc964. Bataan and Democracy Historical Marker. This photo was shot on the 4th Oct. 2007 and the marker is located on the Bataan side of the Pampanga Welcome Arch (maybe 40 meter from it) over the Gapan-Olongapo Highway which was also the Death March Route at this area. This picture shows clearly the relative position of marker to the massive Shriner’s Monument. Zc965. The wonders of the internet; the Bataan and Democracy Historical Marker is located to left of the massive the massive Shriner’s Monument and is partially blocked by a column. This images is dated 2015 and it the Shriner’s Monument is now refurbished! Zc966. This Google Earth map shows the outline of the Hermosa Municipality and I marked in location of the The Pampanga Welcome Arch with the Bataan and Democracy Marker on the Bataan Side of the Arch. 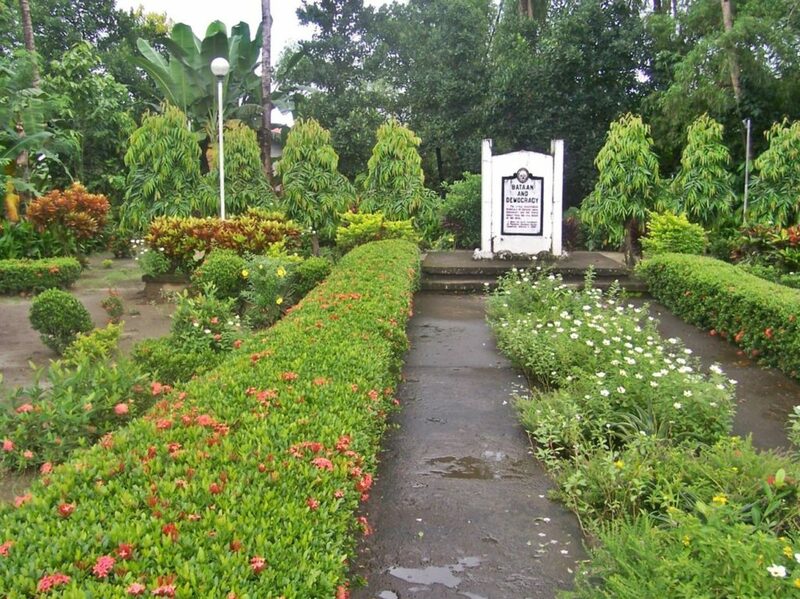 List of historical markers of the Philippines in Central Luzon, click here! This image is also available here at a higher resolution at this URL, click here! Zc969. 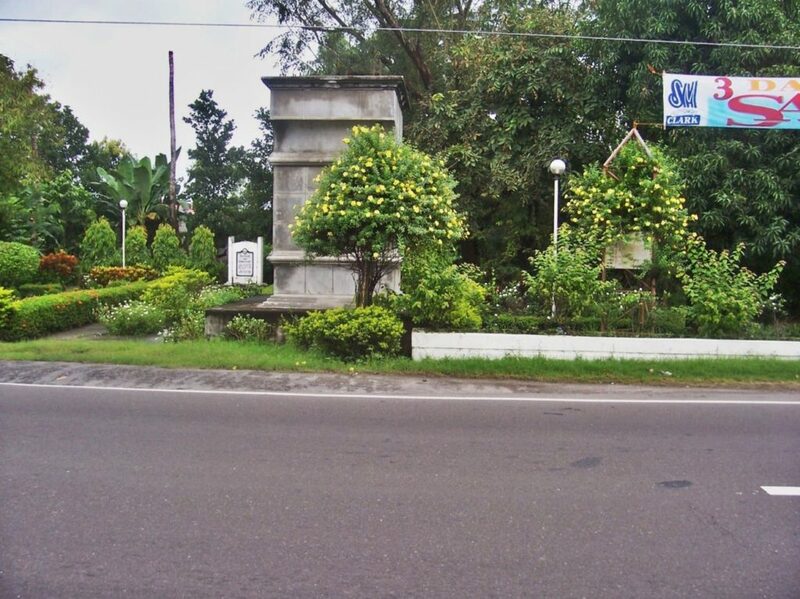 This is the Bataan and Democracy Historical Marker as it looked on the 4th Oct. 2007 and the marker is located on the Bataan side of the Pampanga Welcome Arch (maybe 40 meter from it) over the Gapan-Olongapo Highway which was also the Death March Route at this area. The marker looks different that the marker on the image the General Douglas MacArthur Memorial sent to us, it has the name of the Bataan Governor then. Plus the marker in this image seems to be imbedded in rocks. I looked at both images carefully and am very much convinced that the plaques are the same. The masonry bases they are fastened to are different. Maybe that was changed and perhaps it was even located at a different place and the change occurred when the marker at the Province Boundary was established. This image is available at a higher resolution at this URL, click here!